This update is free for all customers of previous versions. This is mainly a bug fixing version but it includes some major updates regarding engines, performance and predictions in X-Plane 11 version of the aircraft. Aside from fixes and updates, we have included some new features, such as new Autothrottle modes (CLMP, LOW LIM, ALPHA SPD,…) and yoke animation responding to servos commands. 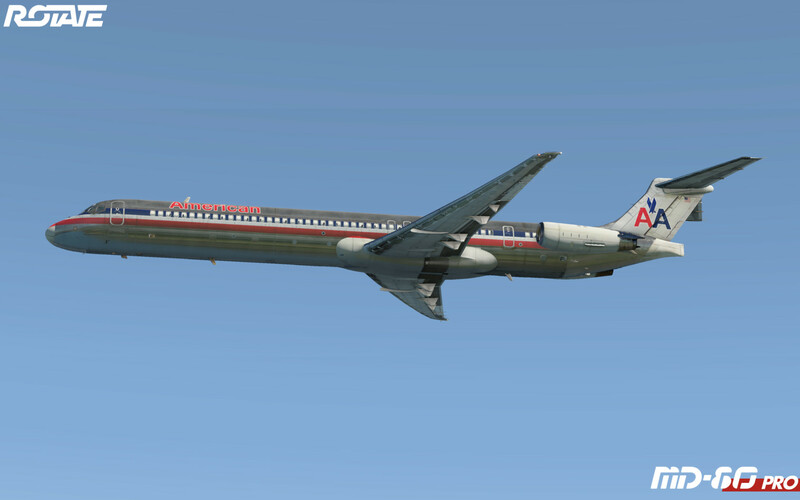 – Updated engines, performance and predictions in XP11 version. – Updated exterior textures and normal maps. – AT submodes now functional. – Improvements in cockpit-fans sound. – Added yoke animation responding to servo’s commands. – Command based manipulators now support “repeating” while control is held. – Added commands for AP control as requested by cockpit users. – Basic support of SmartCopilot plugin. – Corrected a bug in VNAV descent profile calculation. – Corrected a bug in throttle handle movement. – Corrected texture problem in texts of central panel. – Corrected axis manipulators in pedestal handles. – Corrected bug in CO ROUTE load routine. Now it accepts navaid ID collisions. – Corrected bug in HYD PRESS LOW alerts. Now shown when pumps are in LOW. – Corrected bug in GEAR hydraulic dependency. – Corrected bug in DFGC self-test. – Corrected bug in fuel burn derived from Air Packs. – Corrected bug in Fuel Flow indicator. – Corrected texture problem in Audio Panels and heaters. – Corrected various manipulator errors. – IRS align time has been changed to 5 minutes. – Corrected a problem with engines flaming out a few frames after loading. – Corrected a bug in route’s trajectory calculation after a DISC. – Corrected a problem in copilot’s max speed indication. – Corrected text error in CDU DES page. – Updated manual and tutorial flight.